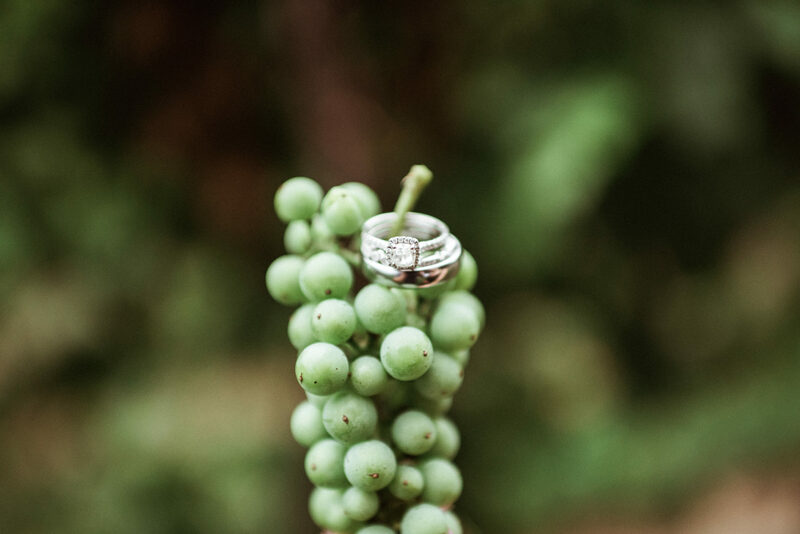 Why Host a Vineyard Wedding? 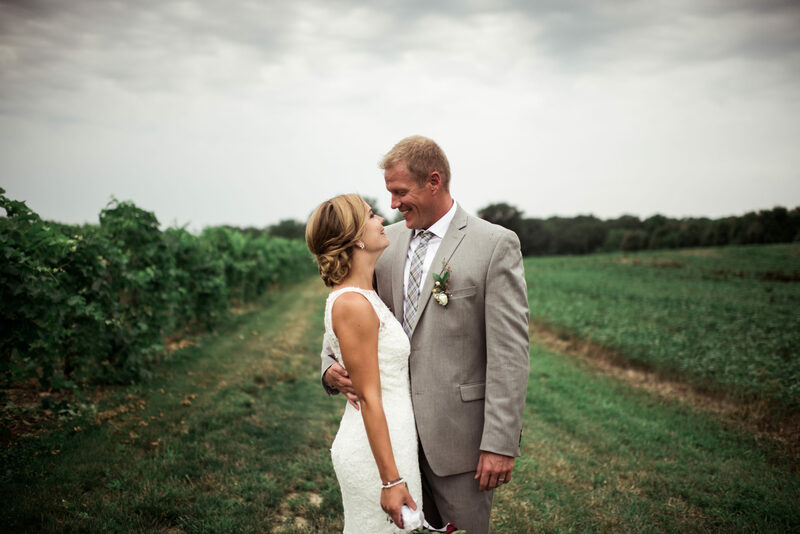 Planning Services Through 1928 Planning Co.
On July 21, 2017, Alda and Davis were married at 12 Corners Vineyards. 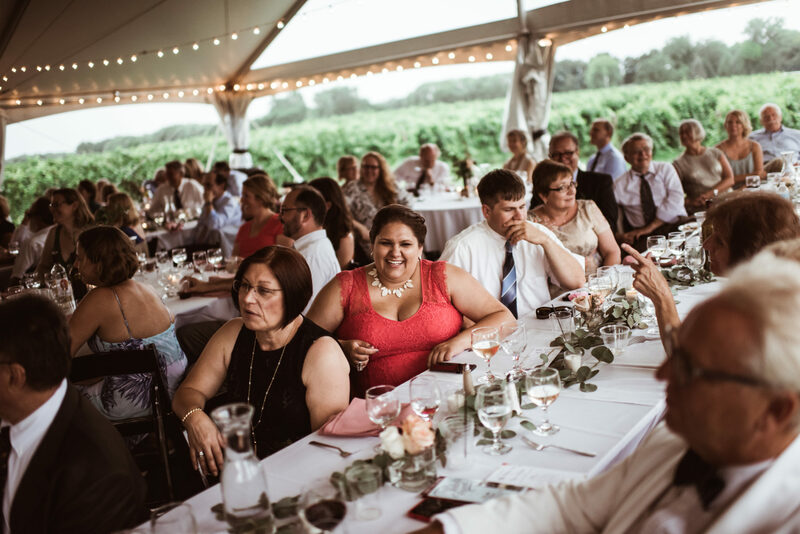 The couple and their 150 wedding guests celebrated at the Vineyard at 12 Corners. 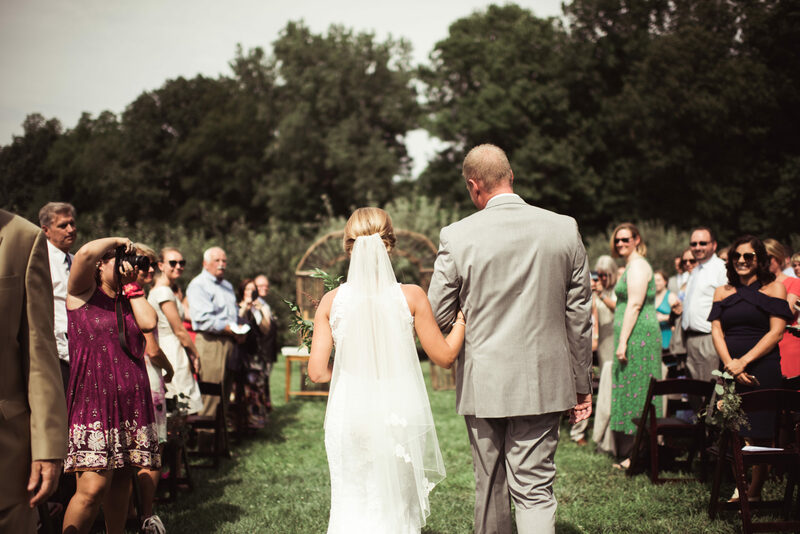 It is rare that a couple decides to walk down the aisle together, but we absolutely loved it. It really gives impression that they are in this together. 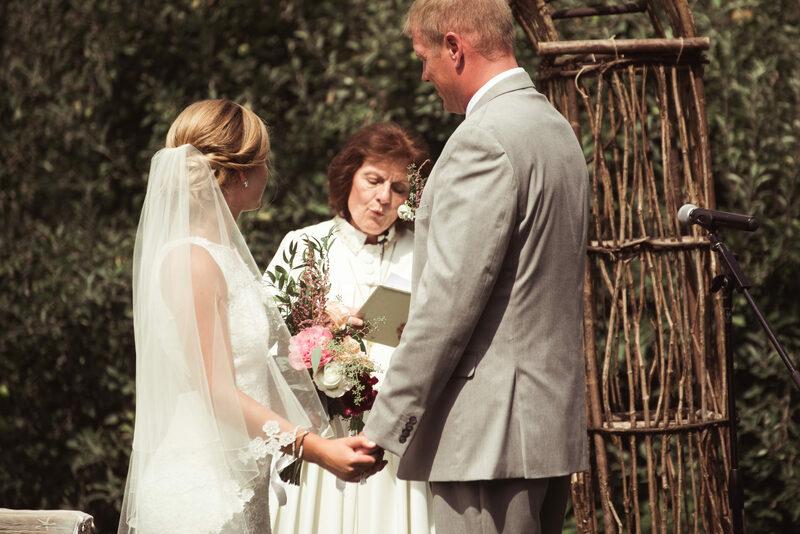 Their officiant was a family friend. 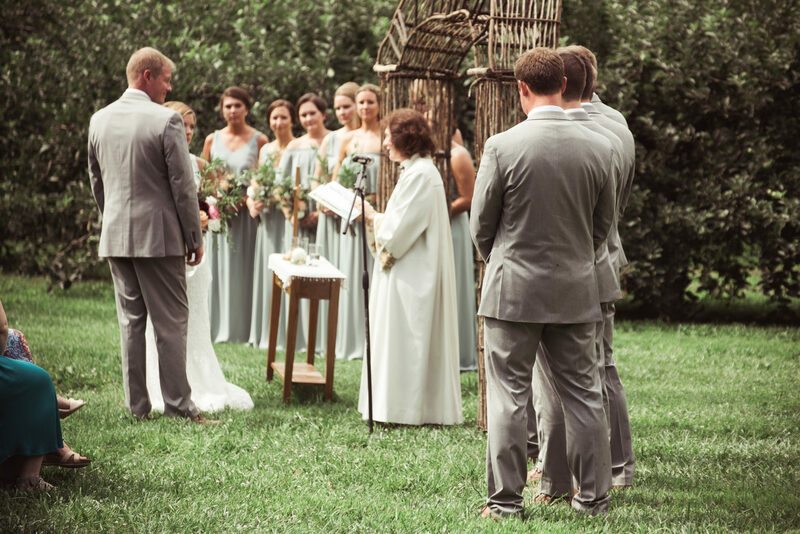 There were seven bridesmaids and five groomsmen. If your party numbers aren’t symmetrical, this can be an easily worked into the lineup by walking in groups of three. 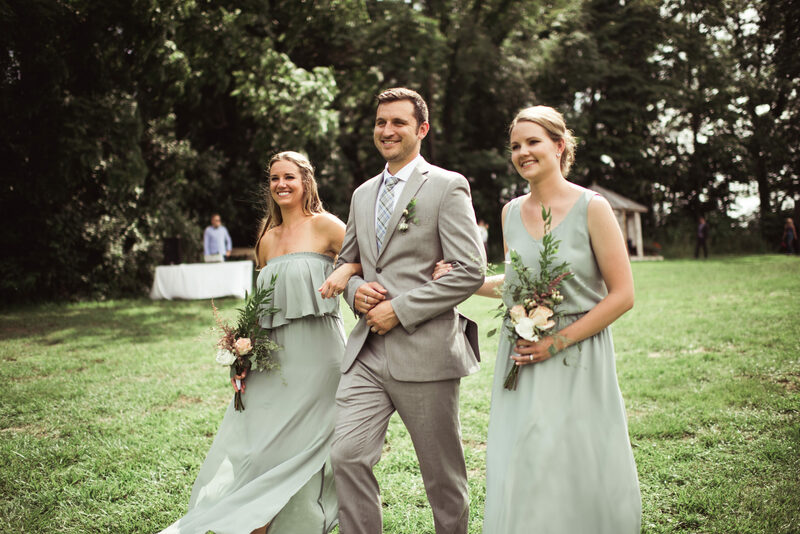 The wedding party wore sage colored dresses and light grey suits. All of the floral colors were soft pastels to go along with the theme. Florals were done by Kelsey Zielke. 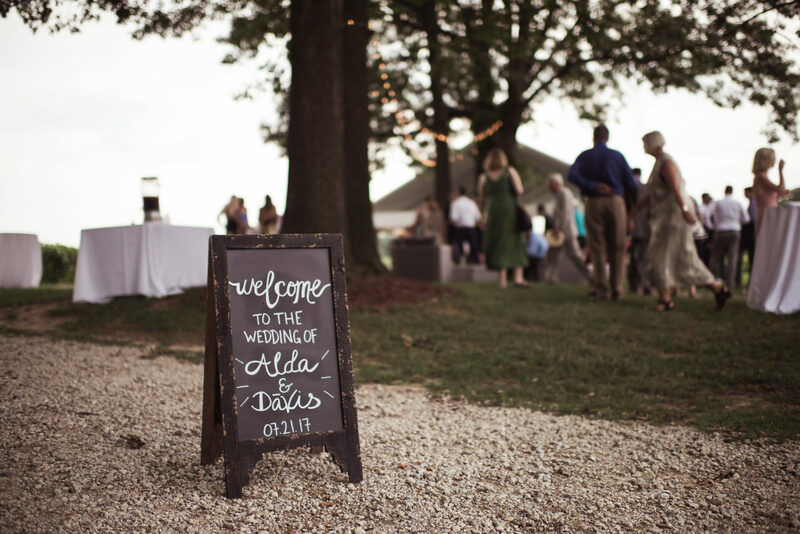 Adding a personalized chalkboard, this one rented from 1928 Planning Company, helps transition the space from ceremony to reception. They opted to have a 48” round sweetheart table, with chairs that matched the rest of the reception’s. 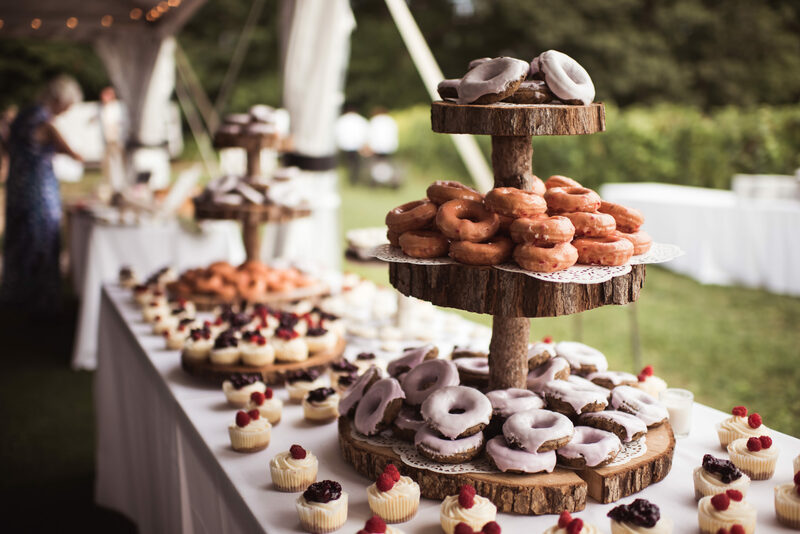 This combination of mini cheesecakes and gourmet donuts looks gorgeous and tastes even better. The desserts were done by Amanda Marie’s Bakery. The natural wood towers gave a rustic touch to the display. 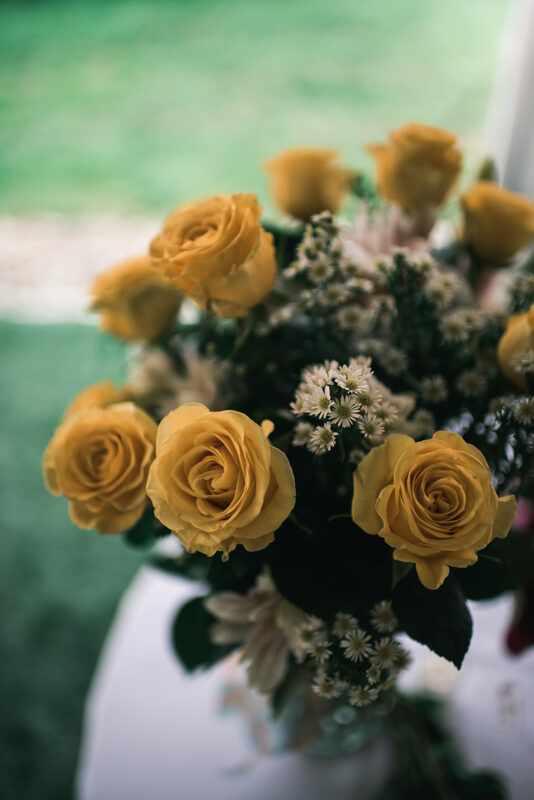 The bridesmaid’s bouquets were set in vases on the tables as centerpieces. This is a great way to get more use out of your florals and the girls can still take them home at the end of the night. Beverage Specialists of Southwest Michigan are our exclusive bartending service. 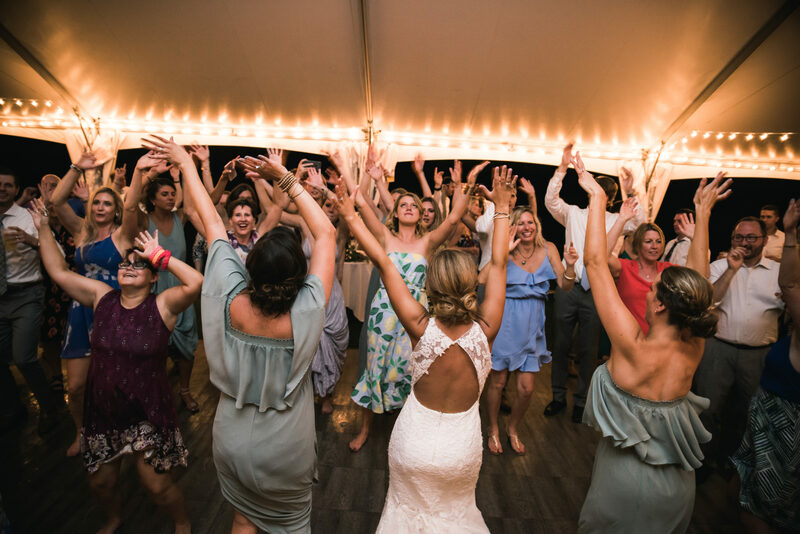 The DJ chosen to keep this dance floor full of fun was a friend of theirs, DJ Awa. 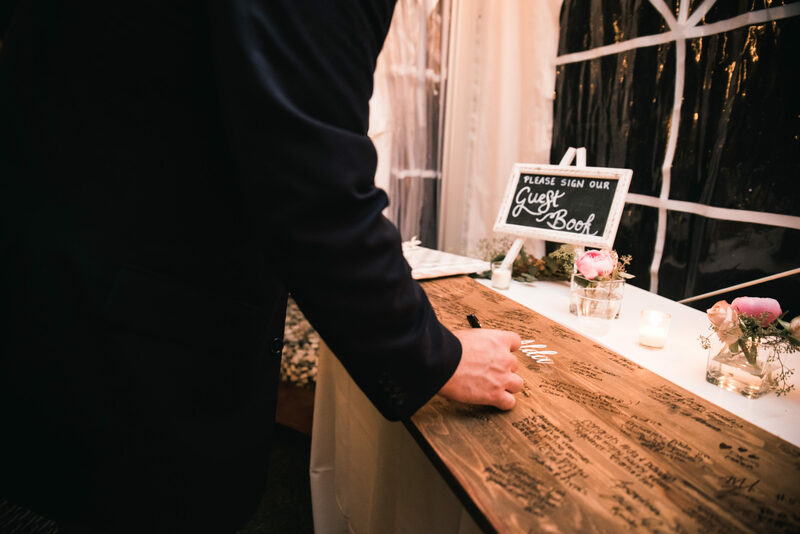 This large piece of lightly stained wood served as their guest book. Once its full of messages from your family and friends, I imagine it would make a lovely home decor piece. 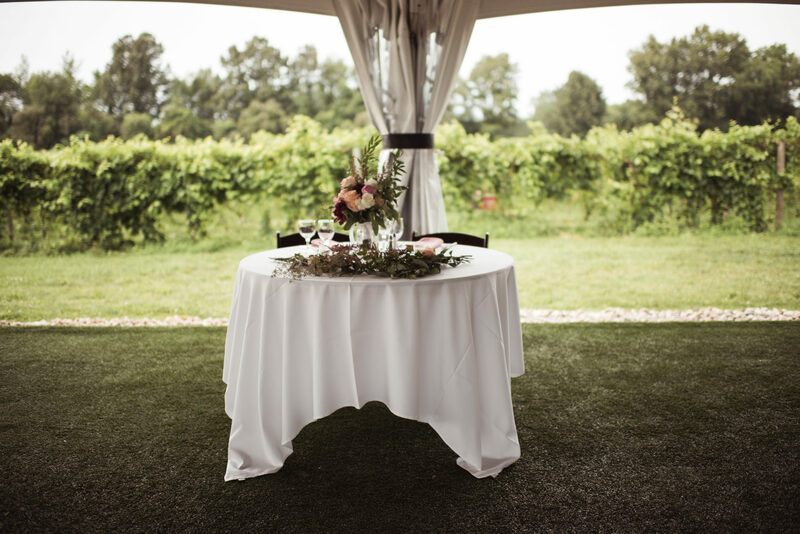 The tables were a simple white linen with a dusty rose colored napkin in a flat fold. The dinner service package through CK Catering was buffet style. A late night snack of sub sandwiches and cheese and crackers was served. 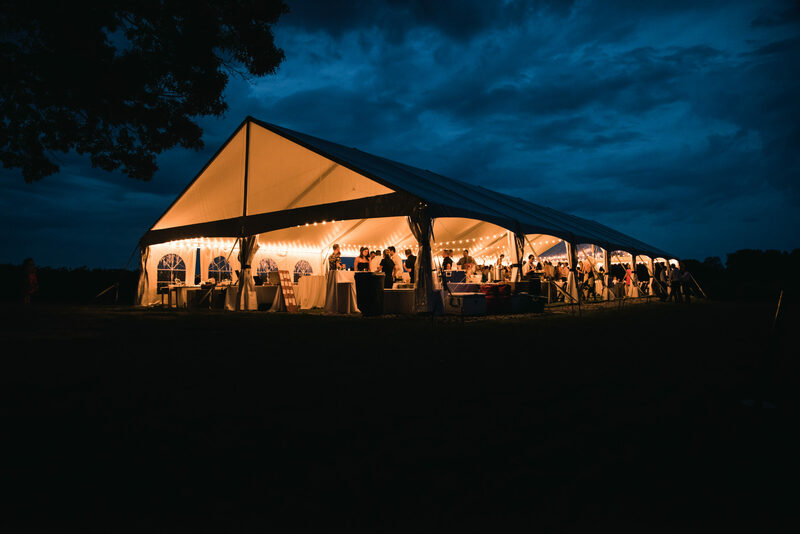 The tent was lit by the Schades of Light cafe bulbs that were strung across the width of it. 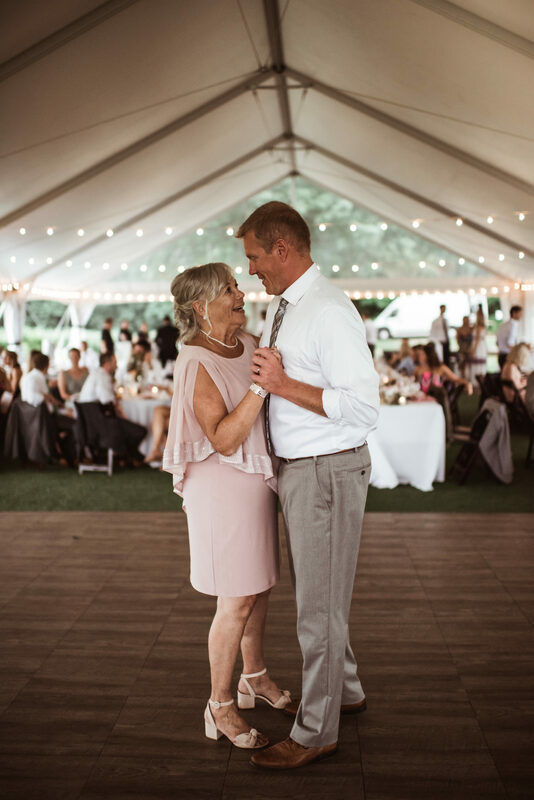 Thank you to Alda and Davis for choosing our venue for their happy occasion. 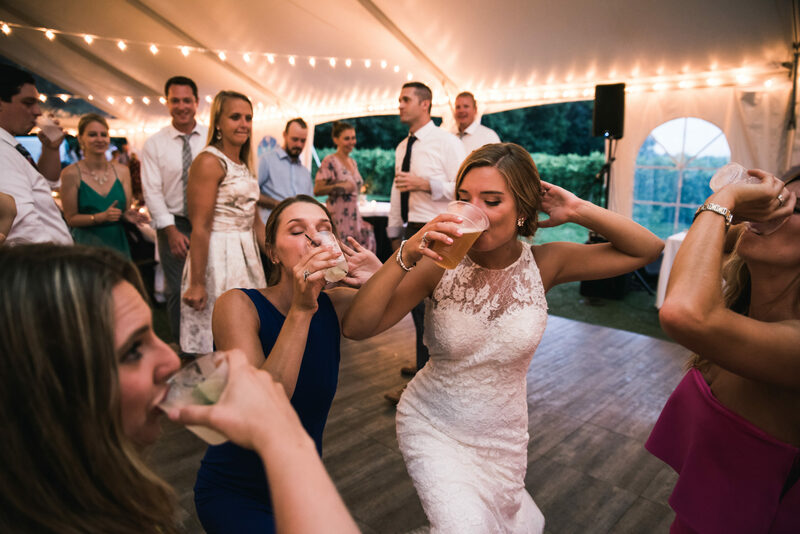 This wedding was one to remember.